A rare and dangerous colossal squid, its tentacles bristling with suckers and curved hooks for snagging prey, has been captured in the Ross Sea in Antarctica. Fishermen captured it as the squid was attacking their catch while they were hauling it in. This specimen was only a juvenile, with a body 2.5 m (8 ft) long, and a total length (i.e. including tentacles) of 6 m (19.5 ft). 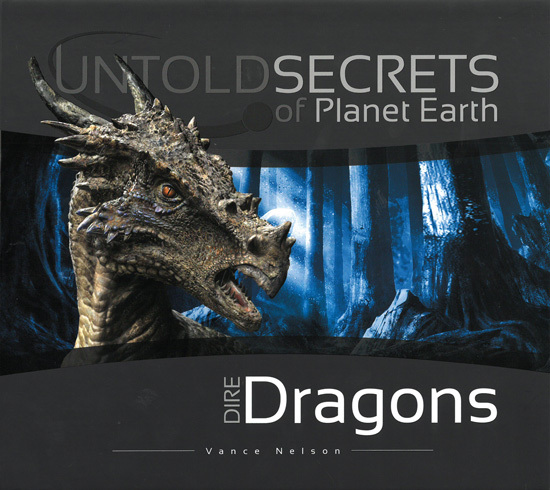 It is possible that adult specimens would reach body lengths of 4 m (13 ft), and total lengths of 12 m (40 ft). What sets the colossal squid apart from the giant squid (and other squids) are its tentacles, which have rotating barbs that can inflict serious damage, judging by the condition of a sperm whale washed up on a New Zealand beach with colossal squid beaks in its stomach. The whale was scarred with long, deep lacerations, presumably from fighting with colossal squid. Ancient sailors’ accounts of giant tentacled sea monsters battling whales seem to be now showing up a basis in fact. 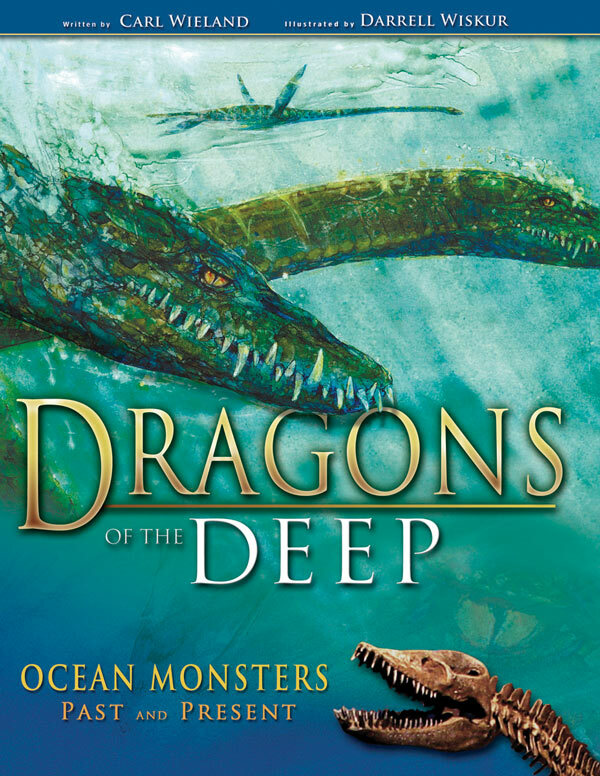 Could it be that similar tales of giant sea monsters are a legacy of actual encounters with terrifying deep-sea creatures (reminiscent of Job 41)? 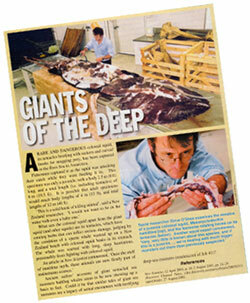 Update (May 2013): Since this article was published in Creation magazine in 2003, other colossal squid specimens have been caught, including this one shown on public display in Te Papa Museum, Wellington, New Zealand. 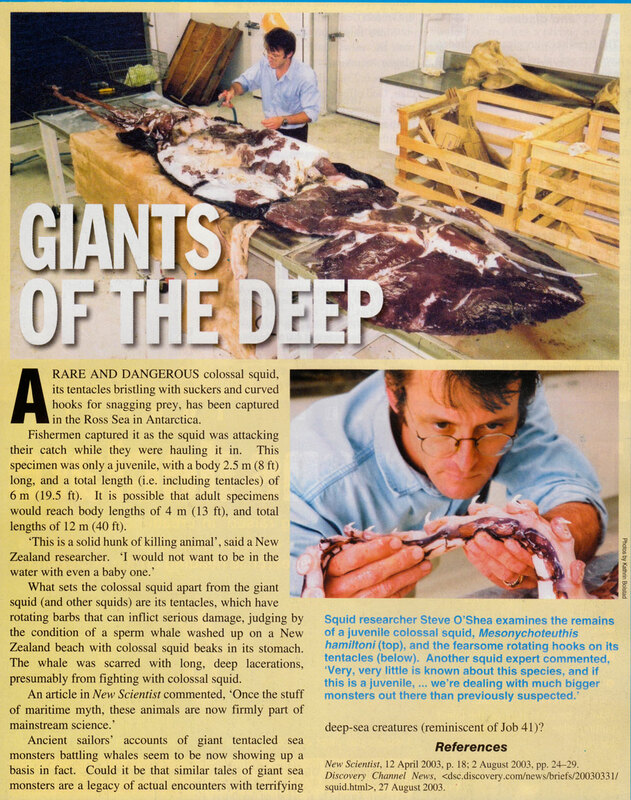 It was caught in February 2007, when the crew of the San Aspiring, fishing for toothfish in the deep icy waters of Antarctica, got the surprise of their lives when they hauled up the huge squid on the end of one of their longlines. Although it was clearly still very much alive, the amazed crew resisted the temptation to let it go, deciding instead to bring it aboard and freeze it for scientists to look at later. Loch Ness ‘monster’ caught on video? 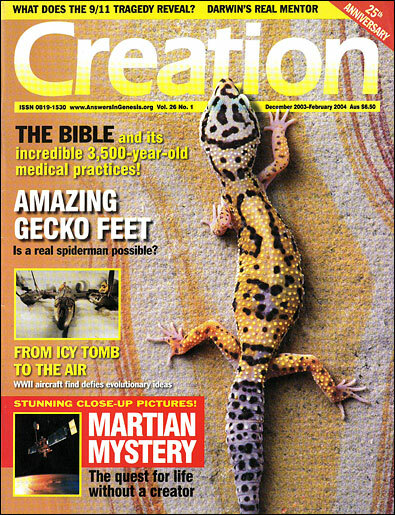 New Scientist, 12 April 2003, p. 18; 2 August 2003, pp. 24–29. Discovery Channel News, dsc.discovery.com, 27 August 2003.